Check PHP compatible version with Laravel . If it is ok then reinstall Global Composer. Problem is definitely solved. By 1959 the growing use of computers, built by several different manufacturers, showed the necessity for standardization in operational techniques, such as programming, and also input and output codes.Such standards would make it possible to use data prepared for, or even by, a computer made by one manufacturer to be on a computer made by another with the minimum of alteration. Also it would avoid duplication of work in the preparation of, for example, programming languages by several manufacturers.Though certain National Bodies had, before 1960, started work on standards in this field, e.g. paper tape and codes, there did not appear to be collaboration between them, nor between the manufacturers themselves. Different countries may have different requirements, so that it may not be necessary to have the same standards everywhere, but the standards should at least be compatible.With the object of co-ordinating such work, the Heads of the Companies of longest standing in Europe in the data processing field (Compagnie des Machines Bull, IBM World Trade Europe Corporation and International Computers and Tabulators Limited) sent a joint letter to all the known computer manufacturers within Europe, inviting these companies to send representatives to a meeting.This meeting was held on April 27, 1960, in Brussels; it was decided that an association of manufacturers should be formed which would be called European Computer Manufacturers Association or for short ECMA, and a Committee was nominated to prepare the formation of the Association and to draw up By-laws and Rules. By December 1960 the form that the Association would take was fairly well defined and it had been decided that the headquarters should be in Geneva to be near the headquarters of the International Organization for Standardization and the International Electrotechnical Commission. On 17th May 1961 the Association officially came into being and all those Companies which attended the original meeting became members. The constituent assembly was held on 17th June 1961.Just prior to the official registration of Ecma, it was invited to be represented at a Round-Table Conference to be held in Geneva organized by ISO and IEC to discuss standardization in the general field of computers. This meeting resulted in the formation of TC97 and in the organization of its own Working Groups, and Ecma was asked to become a liaison member.In 1987, when TC97 became part of ISO/IEC JTC 1 , Ecma became A-liaison member of JTC 1.To reflect the global activities of the Europe-based Ecma organization the name was changed in 1994 to: Ecma International – European association for standardizing information and communication systems.Though before 1994, ECMA was known as “European Computer Manufacturers Association”, after 1994, when the organization became global, the “trademark” “Ecma” was kept for historical reasons.In June 2011, Ecma International celebrated its “golden jubilee” in Divonne while organizing the 101st General Assembly. Our association indeed officially came into being at the constituent assembly which was held on 17th June 1961. Please find here the main presentations held during this celebration.Since 2013 Ecma International regularly grants “Ecma Awards of Appreciation” to standardization experts – generally Editors or Technical Committee Chairpersons. The list of these awarded experts can be found here.Ecma annually publishes its yearbooks called “Ecma Mementos”. For the collection of all past Ecma Mementos please click here.PS: a presentation on the first years of ECMA is available here. The audio file is available here. ECMAScript: A language standardized by ECMA International and overseen by the TC39 committee. This term is usually used to refer to the standard itself. 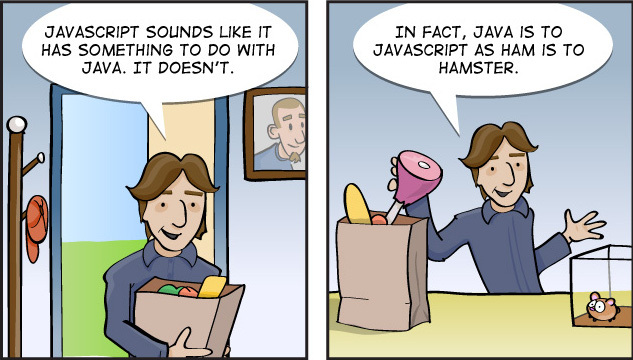 ECMAScript 6 (ES6)/ ECMAScript 2015 (ES2015): The 6th edition of ECMAScript, standardized in 2015. This standard has been partially implemented in most modern browsers. To see the state of implementation by different browsers and tools, check out these compatibility tables. ECMAScript Proposals: Proposed features or syntax that are being considered for future versions of the ECMAScript standard. These move through a process of five stages: Strawman, Proposal, Draft, Candidate and Finished. The approaches employed by humanitarian actors to protect civilians, and the linkages between protection analysis and programming, are key components of the Humanitarian Policy Group’s work. The starting point for this ongoing area of focus is an understanding of the threats faced by communities in different contexts, the steps they take to reduce risks, and the extent to which national and international mechanisms offer effective protection. Research explores the respective roles of military, political, human rights and humanitarian actors in civilian protection and the extent to which these are complementary, both at policy and practice levels. The implications of different forms of settlement – like camps, other settlements or hosting arrangements – for civilian security will be the immediate focus of work under this theme. March 31 this year is falling on a Sunday, while 30th of March will be the 4th Saturday of the month and a holiday for the banking industry. This means 29th March will be the last working day of this financial year unless the government issues directions to the banks. If you are issuing cheques, making online payments through net banking, NEFT etc, ensure the funds get credited to your respective investments within this financial year. If payment goes through next year, the tax benefits may not be available for this year. For a hassle-free FY, here are 8 tax-related and other financial tasks you should complete before March 31st. The last date for filing an income tax return (ITR) for the financial year 2017-18 was August 31, 2018. However, if you had missed filing it, make sure to file it before March 31, 2019, even though you cannot escape the penalty under the newly introduced section 234F of the Income Tax Act. “If any individual taxpayer missed the due date of 31st August 2018 to file their return, they can still file it before 31st March 2019 by paying a fee of Rs 10,000. Note that late fee is restricted to Rs 1,000 for those with total income up to Rs 5 lakh,” informs Archit Gupta, Founder & CEO ClearTax. If you have changed jobs during the FY 2018-19, you should ensure that you have submitted Form 12B to your new employer. In the previous organisation, you might have submitted investment declaration for the purpose of tax saving, based on which the employer would have deducted the taxes accordingly. Form 12B is a statement wherein you will have to provide your new employer with the amount of income and taxes deducted by your previous employer.“Once the employee submits Form 12B with the required details, the new employer will furnish a Consolidated Form 16 at the end of the year based on the details provided by the new employee in Form 12B,” says Gupta. Not doing this will end up in paying taxes at the time of filing your ITR for the AY 2019-20. The maximum limit under section 80C stands at Rs 1.5 lakh and it includes investments into specific instruments such as PPF, NSC, ELSS etc. and also expenses such as tuition fees, home loan Principal payments amongst others. If you wish to reduce your tax liability, make sure, you have exhausted this limit before the FY ends. Simultaneously, you may consider tax saving under section 80 D on premium paid towards health insurance up to Rs 25,000 ( Rs 50,000 for senior citizen) for self and family. The maximum that you can save under section 80C will be based on your tax slab. If you have already taken care of all tax savings, submit the documentary proofs to your employer. Most employers ask for such evidence in January or February and in case they are not accepting anymore, use them to claim a refund while filing ITR in the next FY. Certain investments such as PPF, NPS requires a minimum amount to be put into the account in each financial year in order to keep them active. Else, the account becomes inactive and one will have to regularise or unfreeze it before making fresh investments. The process of reactivating may be time-consuming and will also involve a penalty. In order to avoid this, make sure you have invested the minimum amount before the financial year ends. The minimum investment in PPF is Rs 500 while that in NPS is Rs 1000. One should, however, make adequate investments in one’s investments so as to reap its benefits over the long term linked to one’s goal. Although most of the bank accounts are already linked with respective PAN of the account holders, the income tax department had issued a statement that for refunds, linking of PAN with bank accounts must be ensured. “If you have refunds then link PAN with the bank account to get refunds into your bank accounts directly as the department will issue only E-Refunds from 1st March 2019. In case you have bank fixed deposits, the income is subject to TDS if the interest earned is more than Rs 10,000 in a financial year. However, by submitting Form 15G / Form 15H to the banker, there will not be any such TDS deducted from the income. “These forms should be submitted before 31st March 2019 so that no TDS is deducted by the banks if the income is not taxable,” says Gupta. Form 15H is for individual who is of the age of sixty years or more while Form 15G is for all others for whom the total income will not exceed the maximum amount which is not chargeable to income-tax. If you had already submitted at the start of the FY, be ready to repeat the exercise in the first month of next FY as well. Prepaid plans are cheap. You don’t have to pay more than 250 to get a good data and voice calling plan. But how much is enough for a postpaid plan? There are plans under Rs 200 also but there are more options when you increase the price limit to Rs 500. Choosing the best postpaid plans from the vast sea of plans and offers is one tough task today. Reason being there are so many plans launching everyday and each being so good that it is hard to choose the best out of the lot. Therefore, the best way to choose is by setting your priorities. By this we mean that you should decide what is more important for you- data or calls. There are plans that focus more on internet data while there some other plans that place calling at the forefront. There is a third way also – a balanced plan that has both data and calling benefit in an appropriate amount. These plans are less in number. Jio Rs 199 postpaid plan: Quite new in the postpaid family is this Jio’s new Rs 199 postpaid plan that offers 25GB high speed data and thereafter Rs 20 per gb. The voice calls are free and unlimited SMS. You get complimentary subscription to Jio apps for one bill cycle. Vodafone Rs 299 postpaid plan: Vodafone has launched a new postpaid plan called RED Basic plan. Priced at Rs 299, the plan offers 20GB of 3G/ 4G data, unlimited voice calls, free roaming, 100 SMS messages and data roll over up to 50GB. You also get subscription to Vodafone Play for 12 months. Vodafone Rs 399 postpaid plan: You get 40GB data along with data rollover facility, unlimited local and STD calls, free national roaming, and one year free subscription to Vodafone Play and Amazon Prime. Vodafone Rs 499 postpaid plan: You will get 75GB data with data rollover facility, unlimited local and STD calls, free national roaming, Mobile shield and one year free subscription to Vodafone Play and Amazon Prime. Airtel Rs 399 postpaid plan: Airtel offers unlimited calling, free roaming and 20GB data with roll over and Wynk music subscription for one billing cycle. Airtel Rs 499 postpaid plan: Airtel offers 40GB data with rollover, unlimited local and STD calls, free roaming calls, Wynk music subscription, Airtel TV subscription, handset protection and 40GB data with roll over facility. You also get Amazon Prime one year subscription. Idea Rs 389 postpaid Nirvana plan: Idea Rs 389 offers 20GB of high speed data with a carry forward limit of up to 200GB,unlimited local, STD and roaming voice calls, 3000 free monthly SMSes and free subscription of Idea movies, music and games for 12 months. Idea Rs 499 postpaid Nirvana plan: Idea offers 40GB of high speed data with a carry forward limit of up to 200GB, unlimited local, STD and roaming voice calls. You also get 3000 free monthly SMSes, Idea phone secure subscription of four months, music, movies and games for 12 months and magazines for four months. BSNL Rs 399 postpaid plan: BSNL offers unlimited local and STD voice calls and 30 GB of data, for one month at Rs 399.